This was the Amazon editors' first week in our new building. We have been settling into our spaces, trying to find room for all of our books, trying to locate the bathrooms and kitchenettes. While we have been immersed in our move (and our books), the book world has been very active. Here's some of what's been happening this week. Keep Going: 10 Ways to Stay Creative in Good Times and Bad by Austin Kleon - This week saw the publication of Keep Going. 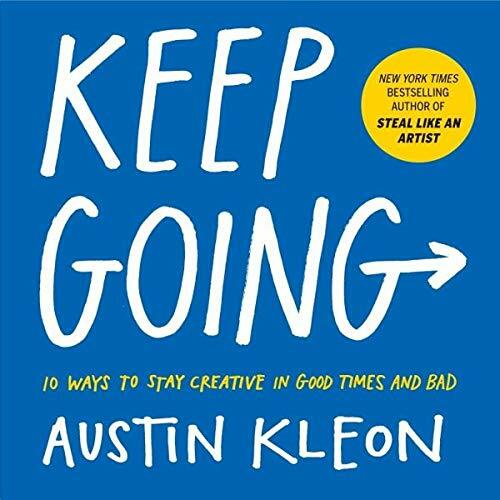 Austin Kleon has written two other best-selling books about creativity -- Steal Like an Artist and Show Your Work -- so his latest book Keep Going is appropriately named. If you are interested in maintaining a creative life, or if you're looking for a short, practical but enjoyable primer on how to stay productive in your life, take a look at Keep Going. 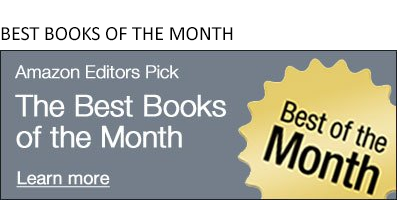 Ask Again, Yes by Mary Beth Keane - This week I contributed to a story in the Wall Street Journal titled "The Ten Books You'll Want to Read this Spring." In the article, I recommend Peter Heller's book The River, which I've written about on the blog before. It's one of my favorite books of 2019. 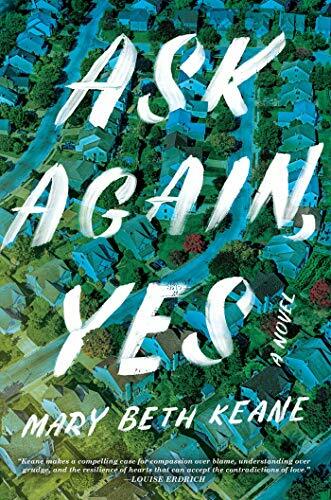 There's another book that's a little further out on the horizon, one that's getting a lot of buzz and which I read last week: that book is Ask Again, Yes. I'm sure you'll be seeing more mention of it from the editors over the next couple of months. If I could have had two books in the WSJ article, I would have talked about Ask Again, Yes. The Mister by E L James - When you've written the Fifty Shades trilogy and you have a new book coming out, people are bound to take notice. In less than two weeks, a new E.L. James novel will be published. 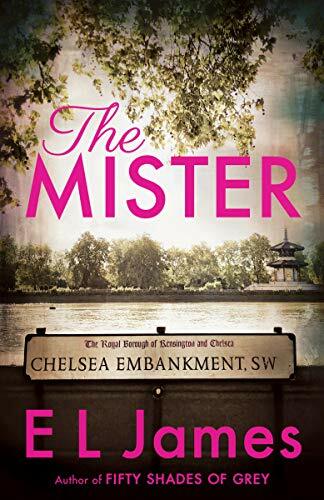 Big releases like this are typically kept under tight wraps until the publication date (April 16th in this case)-- but you can read a little more about The Mister here. E.L. James describes The Mister as “21st century Cinderella." "Julie Yip-Williams’ memoir speaks to one of our greatest fears, that we would be diagnosed with a terminal disease, and to our greatest hope, which is that we could face life straight on, fully, without squinting, and live each day with honesty, ambition, and true feeling. She was born ethnic Chinese in Vietnam. As a young child, she had cataracts that rendered her nearly blind—her grandmother felt she would be a burden to the family and tried to have an herbalist end her life. When the family fled for the U.S., she was able to get corrective eye surgery in California. Still, she was declared legally blind due to poor vision. She earned her way into Williams College, attended Harvard Law School, married, and settled in Brooklyn with her husband and two children. Then at 37, she was diagnosed with stage IV colon cancer. For five years, she dealt with the disease, took care of her family, prepared them and herself for the future, and sought understanding by writing about it. There is hope, anger, fear, reflection, immersion in the everyday, and joy reflected in this book. 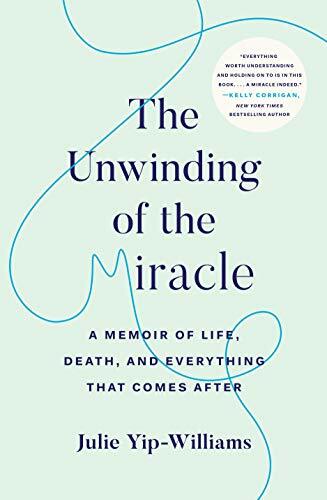 The Unwinding of the Miracle seeks to express the truth about what it is like to face death--and to face life--and it succeeds masterfully. --Chris Schluep, Amazon Book Review"